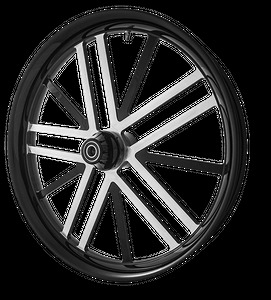 OUR WHEELS WILL FIT �LIKE A GLOVE� GUARANTEED� OR WE�LL FIX IT FOR FREE! At SMT Machining we know there is a big problem with aftermarket wheel fitment. 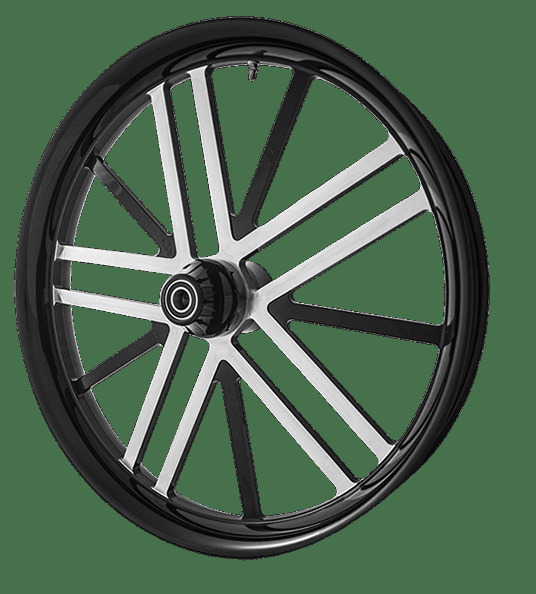 It is almost like shops are scared to order wheels, because they don't know how much work they are going to have to do to get them on the bike. All their profit goes down the drain with the extra labor they have to put out. Here at SMT Machining you won�t have to worry about that. When you purchase one of our wheels you will receive a replica of the hub configuration of your bike. We have the exact hub configuration of many bikes, and if we don�t have them we can get them. Basically, when you get our wheels you won�t have to use any spacers or cut the calipers to fit them on. We have digitized these wheels into CAD programs so they are exact. They should go on �Like a Glove� or we will fix the problem for FREE! Most companies won�t do this, because they would have to keep an extensive hub inventory. We don�t care. We want to have the very best fitment in the industry and we won�t settle for anything less. The only thing we need from you is the correct information at the beginning so that we know exactly what your bike needs. REMEMBER, when you order a wheel from SMT we GUARANTEE our specs or we will Fix it for FREE! IF IT�S GOOD ENOUGH FOR A FIGHTER JET, IT�S GOOD ENOUGH FOR YOUR BIKE! All SMT products are manufactured at our Arizona facility from American made Aircraft Grade 6061 T6 Solid Billet Aluminum that has no porosity and is very high in corrosion resistance. TRANSLATION: The stuff is WICKED SIK!! SMT Machining was founded in 2003 by Ted and Sebastian Glod (father and son) who have over 50 years experience (combined) in the custom parts machining industry. They have combined their extensive knowledge of machining with the latest designs to bring you a product that will definitely turn heads, but you will need to feel and see their parts to truly appreciate their quality. We employ our own engineering department and have invested heavily in some of the most sophisticated CNC 5 Axis Machining Centers to give you the precision accuracy you deserve.